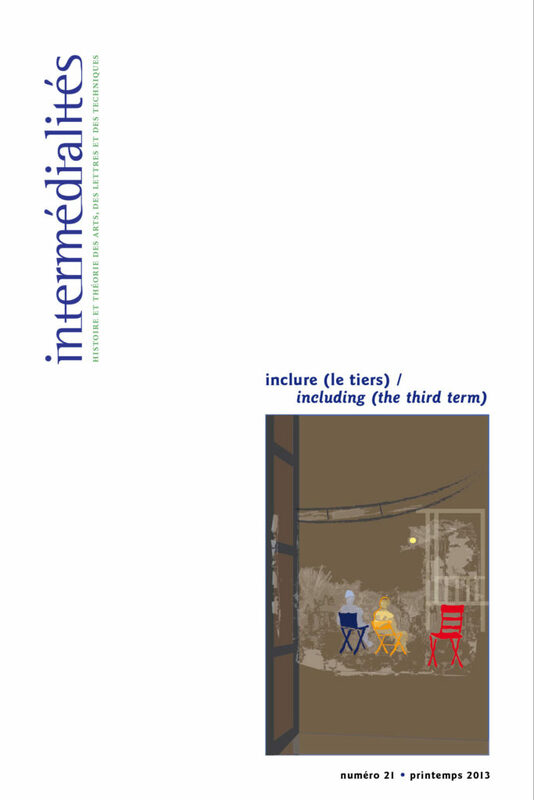 Entitled “Including (the third term),” this journal issue brings together essays that address the question of “the third” in order to foster a more general reflection on the topic. In the process, it also aims to provide a refined analysis of situations involving a third party, or an outsider, and to experiment on the study of primarily cinematographic works, which intersect with photography, literature, theatre and contemporary art. In other words, these texts represent the entry of “the third party” in the study of mediality. The texts are largely the result of a reflection initiated at a SSHRC-funded research workshop entitled “Adresses au tiers et postures des tiers dans le partage des mémoires,” organized by Djemaa Maazouzi and Marion Froger and held in Montreal in April 2012.